EDS SSC "Minimally invasive management of critically ill GI patients"
EDS Surgical Skills Course "Minimally invasive management of critically ill GI patients" just few hours ago already for the 3rd time started in Kaunas, Lithuania. Participants of the course are practicing skills in open and laparoscopic surgery, vascular interventions, ultrasound guided procedures. 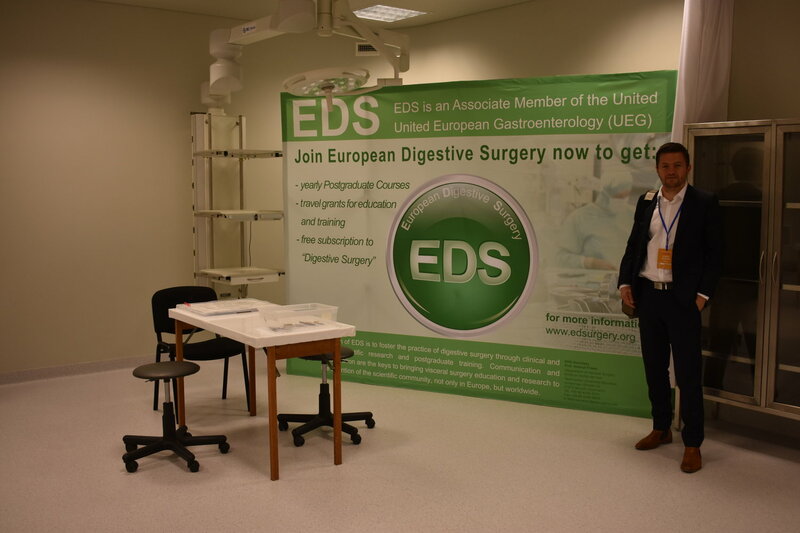 European Digestive Surgery (EDS) has the aim to foster the practice of digestive surgery through clinical and basic scientific research and postgraduate training. Communication and collaboration are the keys to bringing visceral surgery education and research to the attention of the scientific community, not only in Europe, but worldwide.